I have had a love affair with ink pens since high school, I always wanted a cute one that had a big personality. 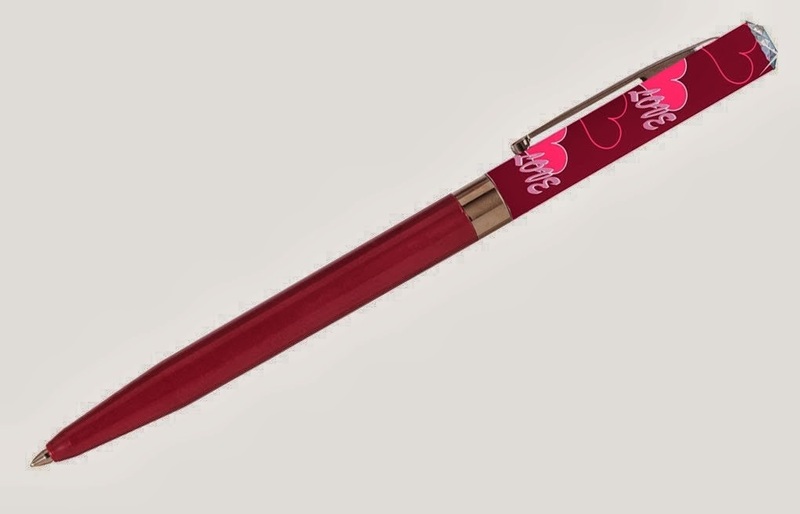 I was sent the Valentine's pens to try and yes, I know I am late getting out my review. I live in South East Georgia and the weather here has been crazy and it's nearly impossible to get a review done with my 3 kids home so I would like to apologize to this company. 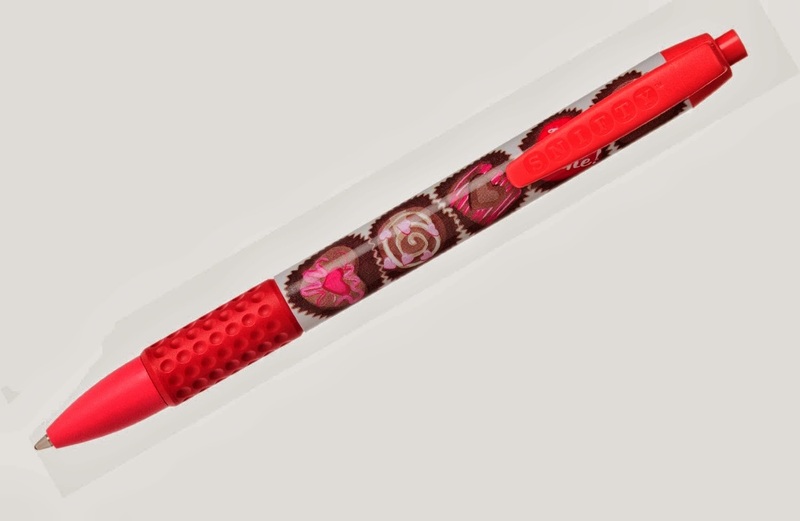 Back to the review-These Valentine's pens are pens after on own heart! They are so so cute, 2 of them have gem tops and 1 is even scented! My advice would be not to set these pens down because if there is a pen thief around they will go missing. 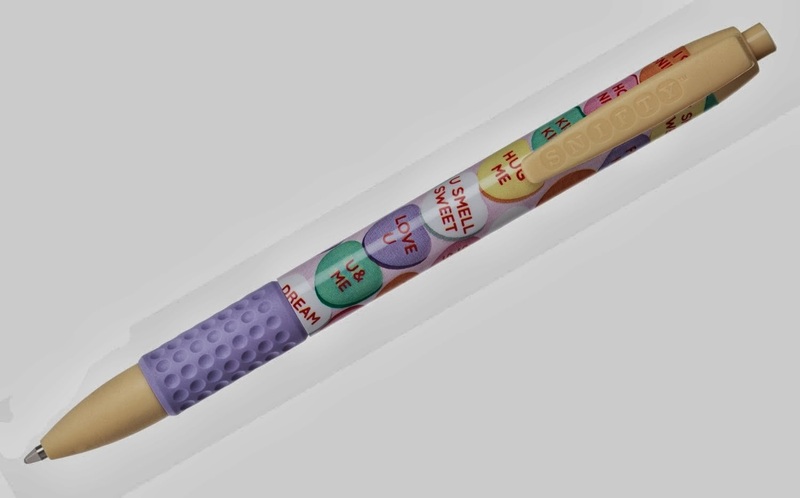 Like I said I received the Valentines pens, but they have so many pens to choose from-pretty much a pen for every occasion. The snifty pens are pretty awesome. Yep, you wanna smell my pen? They are scented pens (the barrel) -the ink isn't scented, which would be really awesome-couldn't you just see people sniffing your papers? The first one smells like chocolates, and second one smells like cherries. All 4 of my pens had black ink-so you don't have to worry about a funky color is you are an adult that wants a cool pen but can't really use a crazy color ink. Keep in mind that because these pens are $2.75 (twisty pens) and $3.00 (snifty pens), they are add-on items on Amazon, so you'll have to purchase something else to get these. So, you can buy a 4-pack of one design from PCA, for $10.00, and add on these as extras. They make great gifts, stocking stuffers and gift stuffers for any age! Pen Company of America (PCA) is pleased to announce its launch into the Retail Stationary and Gift Market at the 2013 National Stationary Show. PCA is a full service pen manufacturer that designs, molds, assembles, packs and ships directly from our 36,000 square foot factory in New Jersey. PCA products have been “Made in the USA” certified by a leading authority on domestically manufactured products.In 2011, PCA purchased Rotary Pen, a company that had manufactured ballpoint pens in the United States since 1956. With over 100 million pens and pen components manufactured and sold annually, PCA continues to supply the promotional products industry, US government, medical supply companies and other outlets with high quality, domestically manufactured pens.Recognizing that there are very few options for Made in the USA writing instruments, PCA has launched into the retail market with a new line of pens that combine design and affordability - making your everyday pen anything but ordinary.